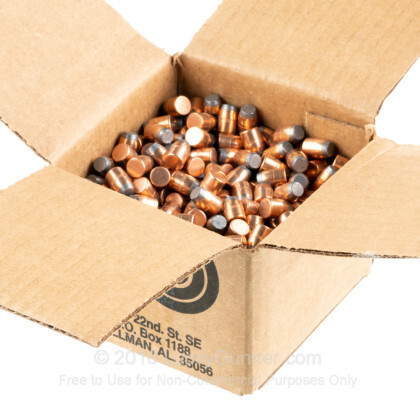 This package of 500 .357 inch diameter bullets is perfect for the handloader who would like to craft some lightweight loads for their revolver. Whether you are shooting a pocket size revolver like an S&W J-Frame, a full size duty revolver like the Ruger GP-100, or a .38/.357 caliber lever action carbine, the lightweight jacketed soft point projectile can be loaded for both inexpensive practice rounds or very effective personal defense ammunition. Zero Bullets, an Alabama based company, is well known across the Southern United States for producing projectiles to a high degree of precision and consistency. While they have updated their production methods over the years, they still offer the same quality which made them famous with reloaders to begin with. 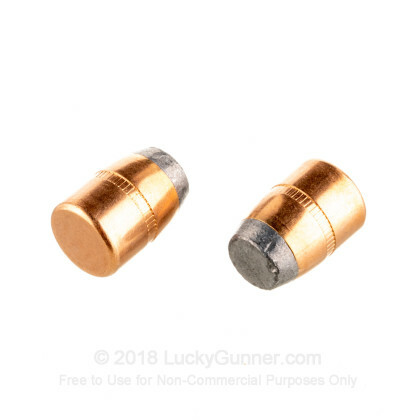 These jacketed soft point bullets have similar shape to traditional semi-wadcutters and will produce clean and easily seen holes in paper and cardboard targets. While most of the bullet has a copper jacket, the tip of the bullet is exposed lead which will expand upon impact with a target. This expansion improves energy transfer, reduces collateral damage, and delivers better terminal ballistics. 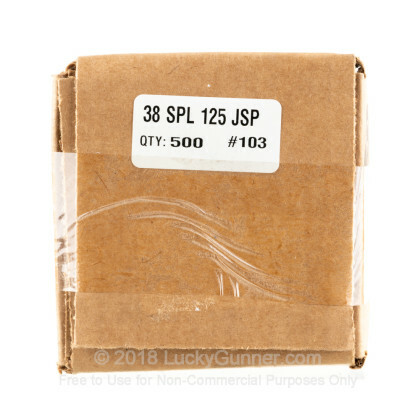 The 125 grain bullet, when loaded to .357 Magnum specifications, is known for its light weight, high velocity, and excellent track record in terminal performance. It also makes for lower, more manageable recoil when loaded to .38 special standards.